Far Cry 5: Hours of Darkness review code acquired independently. From Hamburger Hill to Platoon, the Vietnam war is one that has captured the imaginations of countless filmmakers for years. So it’s somewhat of mystery that much like the Wild West, game developers haven’t done their utmost to take advantage of this most creatively fertile of canvasses for their own labors. Hours of Darkness, a single-player DLC expansion to Far Cry 5, aims to correct this most egregious of trespasses by doing just that. The problem however is that Hours of Darkness seems far more comfortable mimicking the well-worn mechanics of Far Cry into a Vietnam setting, rather than attempting anything more ambitious to do justice to the concept; a tragedy of sorts given the wide ranging potential that the Vietnam war holds for crafting compelling and engaging experiences. Trapped behind enemy lines and surrounded by Viet-Cong in the winding jungles and grassy valleys of Vietnam, Hours of Darkness casts players as Far Cry 5’s Wendell Redler who is tasked with not only getting himself to safety but also three fellow soldiers from his unit too. Sadly however, an otherwise compelling setting finds itself squandered as Hours of Darkness feels like a re-skinned Far Cry and little else. 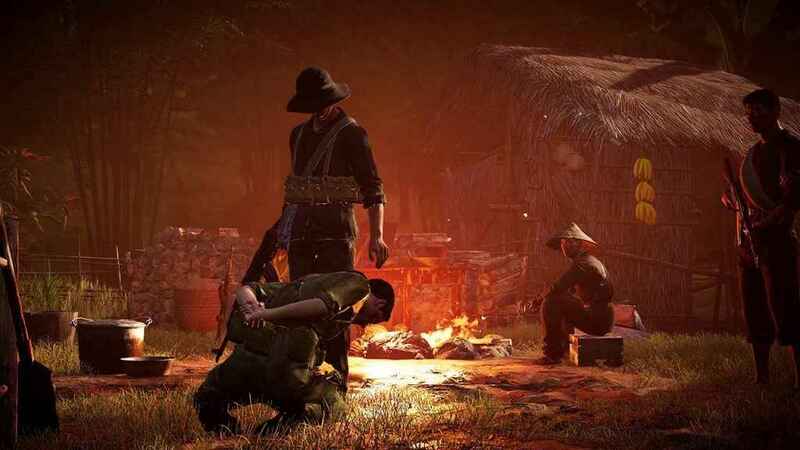 Hours of Darkness review: The Vietnam war setting is evocative – so it’s a shame that Ubisoft simply didn’t do more with it. 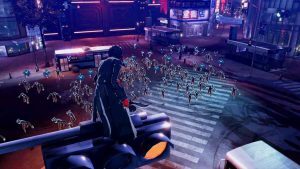 Certainly, players will recognize the series trademark busywork with Hours of Darkness boasting the usual outposts that need clearing out of baddies, prisoners that need rescuing, menial collectibles that need picking up and so on, and so forth. 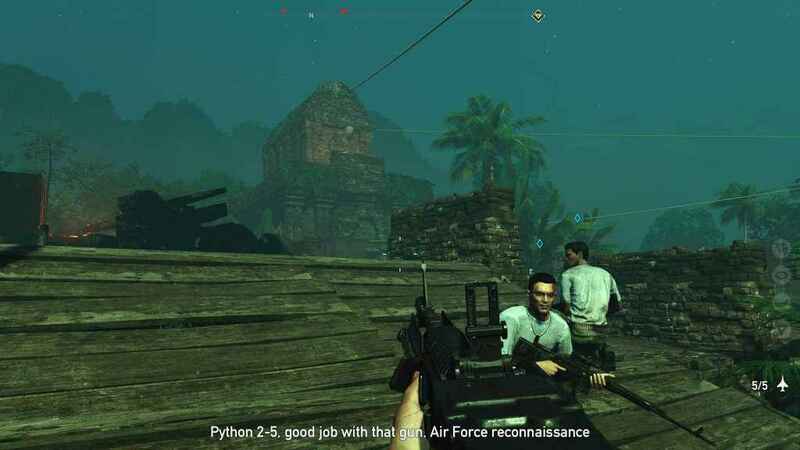 Even the expansion’s main narrative thrust of having to rescue your similarly displaced comrades also folds neatly into the series traditional mechanics, as your liberated compatriots simply function like the ‘Guns for Hire’ that have appeared in every in Far Cry game since Far Cry 3. Gunplay and combat too functions exactly the same as it has done in the Far Cry series for the last few years. You have your weapons slots, sub weapons inclusive of throwing knives, grenades and the such and then of course, you have your range of takedowns that can be chained into multiple kills if enemies are bunched closely enough together. So no surprises here. 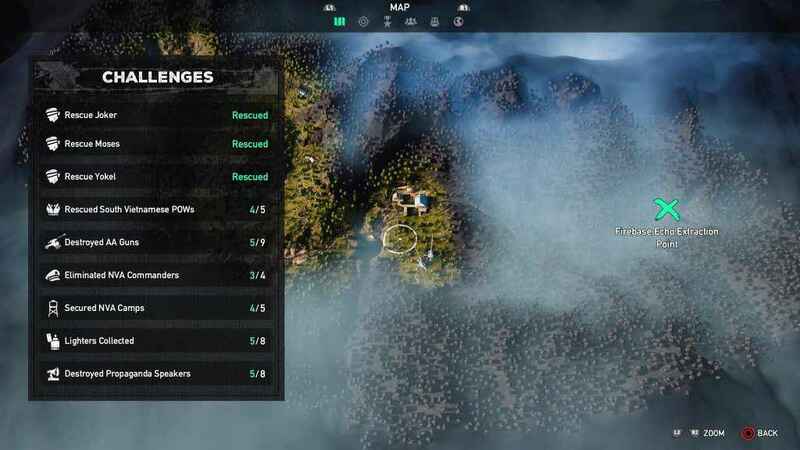 Even the manner in which you progress through the expansion is governed in exactly the same way as it has been in the larger Far Cry franchise for years now – liberate a camp and more icons will appear on your map for you to explore, and then you simply rinse and repeat until you’ve reached the end and no icons remain. I cannot stress strongly enough just how much Hours of Darkness makes that old maxim ‘more of the same’, seem odious and trite. So if you have Far Cry fatigue, consider yourself warned. 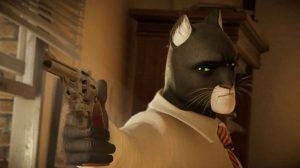 Hours of Darkness review: Far Cry’s penchant for busywork is on rude display in Hours of Darkness. Tapping into the equipment that was used to wage warfare during this period, players can use their binoculars to call airstrikes down on hostile targets, with each summoned airstrike using up one token that can be replenished whenever an objective is completed. Before you can do this however, AA guns that exist in the vicinity must be destroyed, though to be quite honest, until the very end of the game (where your foes are all conveniently bunched together in neat kill zones), you can get by just fine without ever needing to use them. Elsewhere, Hours of Darkness encourages players to be stealthy with a consecutive number of stealth based kills rewarding temporary perks that make detection of enemies easier. The problem is, again, unless you’re playing through Hours of Darkness in the increased difficulty mode that only unlocks once you’ve completed the expansion once, you can still play fast and loose with stealth and go all-out guns blazing and still get the job done anyway. About three to four hours long depending on how much of the busywork you can stomach, once you’ve finished Hours of Darkness there is little reason to return. Indeed,after the credits complete their climb two new modes are unlocked but they ultimately add little to the overall offering. Hours of Darkness review: Despite being carbon copy of Far Cry 5 from a gameplay perspective, the environments in Hours of Darkness still impress. Survivor mode is simply a harder difficulty level whereupon you have less health and a smaller inventory, which puts the onus more on stealth than ever before (it would have been nice to have access to this straight away). Action Movie mode on the other hand goes in completely the opposite direction, increasing the size of inventory so you can carry more guns and allowing you to call in airstrikes whenever you like. In the end, Hours of Darkness ultimately fails to parlay its evocative Vietnam war setting into anything more than a freshly skinned Far Cry variant, which is totally fine if you still want more Far Cry, but much less than fine if you wanted Ubisoft to do more with the raw materials that they had. Handsomely made and boasting Ubisoft’s usual lofty standard of audiovisual presentation, there were great stories that they could have told here but instead players find themselves forced into all too familiar territory where unique mechanics and compelling and engaging characters give way to a cut and paste of Far Cry’s long established busywork. Here’s hoping that the future Far Cry 5 single player expansion packs are braver than this. 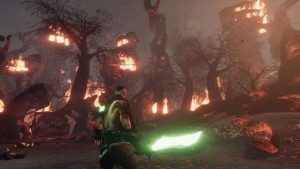 If you enjoyed this Hours of Darkness review, we’re compiling a feature on the best FPS efforts on PS4. Take a look! 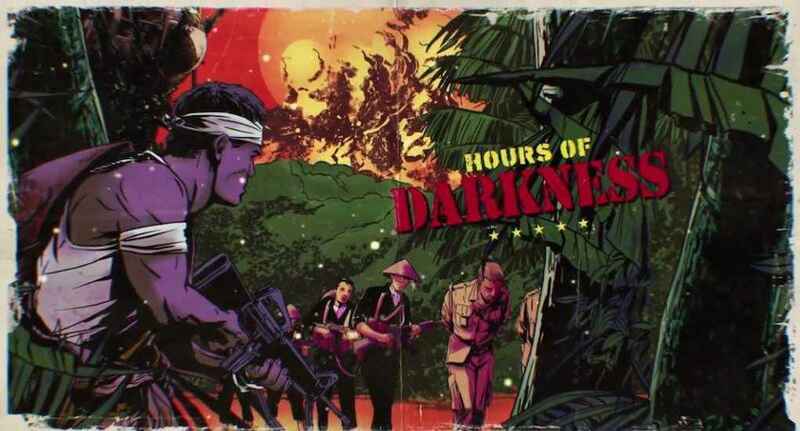 A visually attractive, if uninspiring take on the Vietnam War, Hours of Darkness feels little more than a re-skinned Far Cry 5 rather than something more ambitious. Are you able to use the new dlc elements in the mission maker like with FC3? Didn’t Far Cry 5 just come out, FFS? !